– Leon Edwards of the company’s founder, William Sterling Edwards Jr.
As a young man, leaving high school to help support his ailing parents, Sterling Edwards knew he wanted to sell cars. He got his first chance in the automotive industry working for Brownell Ford from 1912 to 1916. With the dream to one day run his own dealership, Edwards saved every penny possible. With his entire savings, Sterling Edwards started his own business on August 5, 1916. Signing a contract with Louis Chevrolet and the Chevrolet Motor Company, Edwards Motor Company was born. A name the business would use until the mid-1950s. From Sterling Edwards opening Alabama’s first Chevrolet dealership in downtown Birmingham to celebrating our 100th anniversary in 2016, Edwards Chevrolet Downtown has weathered many challenges and celebrated many milestones. 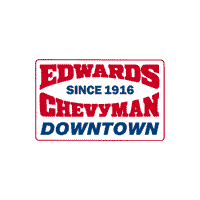 Despite two World Wars, the Great Depression, the 1966 Fire, and the Great Recession, Edwards Chevrolet Downtown remains one of the oldest family-owned Chevrolet dealerships in the country. With both our Downtown and Highway 280 locations, being treated like family will last a lifetime, and in many cases generations.